Criminal proceedings against participants of a prayer service held near the Tulip Tree on the Circassian Day of Memory are a well-organized and thought-out campaign. The authorities try to equate prayer services to rallies in an attempt to force activists to coordinate events on the Adyg Days of Memory and Sorrow. This opinion has been expressed by advocate Marina Dubrovina. Marina Dubrovina has noted that "from the legal point of view, the prosecution of Ruslan Gvashev was thought-out quite professionally." "Everything has been done to ensure that next year no one would even come close to the Tulip Tree without sanctions from the authorities," the advocate believes. "Meanwhile, no one paid attention to the testimony of the district police inspector, who had drawn up protocols on administrative offenses against Basto and Gvashev. The police inspector states that in fact no rally took place and that law enforcers forced him to draw up the protocols," stated the lawyer. On September 27, about 300 participants of a rally in Sukhumi appealed to Russian and Abkhaz presidents asking them to save the life of Ruslan Gvashev and provide the Black Sea Adygs-Shapsugs with the right to hold their memorial prayers at the Tulip Tree. 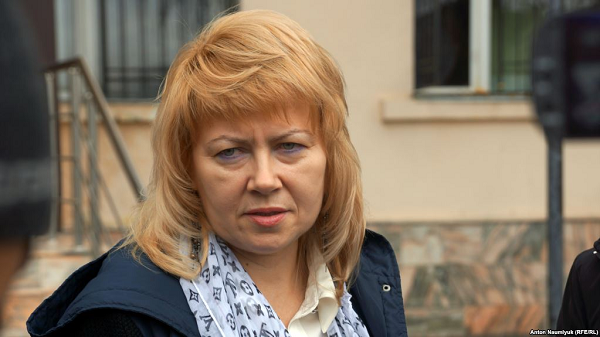 Marina Dubrovina hopes that the support provided to Ruslan Gvashev by Circassian activists should influence the decision to be pronounced by the Krasnodar Regional Court. Sukhumi rally calls on Putin to protect Gvashev's rights, Initiative group members claim threat to Ruslan Gvashev's life, Circassian activists draw court’s attention to violations of Gvashev's rights.